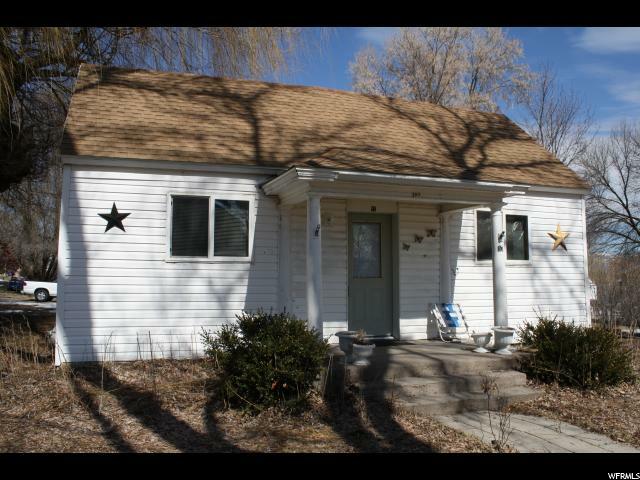 All Wellsville homes currently listed for sale in Wellsville as of 04/22/2019 are shown below. You can change the search criteria at any time by pressing the 'Change Search' button below. 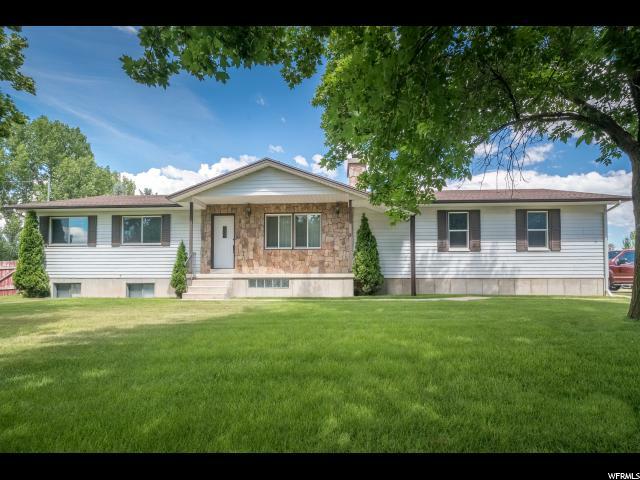 If you have any questions or you would like more information about any Wellsville homes for sale or other Wellsville real estate, please contact us and one of our knowledgeable Wellsville REALTORS® would be pleased to assist you.
" Magnificent estate on 6.5 acres in Mt. Sterling! Attractive landscaping with curbing leads your drive to an impressive 2 story executive home with full basement. Commanding views everywhere! This immaculate home features an open floor plan with plenty of natural light & superb craftsmanship. Stairwell in foyer and study to the side with floor to ceiling cherrywood bookshelves on two walls & built in desk. Stately large fireplace in great room. Kitchen has granite countertops, large bar, knotty alder cabinets, stainless appliances, attractive tile backsplashes & convenient pantry. Beautiful master suite has separate tub and shower. 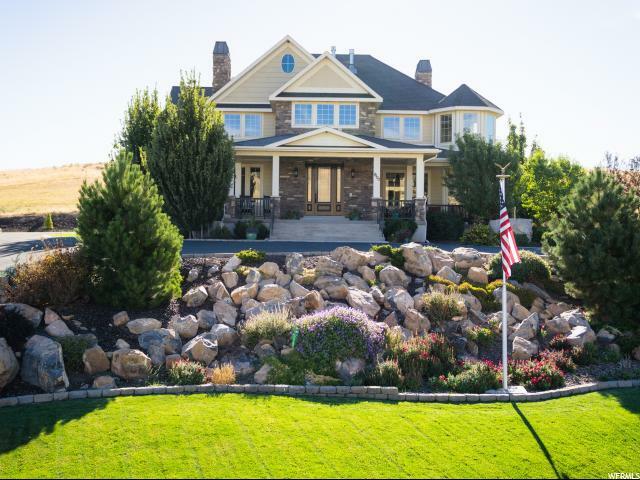 This 6 bedroom home was in the 2009 Parade of Homes. Upstairs study/craft/sewing room features 270 degree views. Large multi-purpose room upstairs with 6 dormer windows. Wide hallways. Tons of storage! Too many features to list! Geothermal heating and air conditioning. Wrap around porch & patio. Four stall pole barn with 12' x 24' workshop, built in workbenches and electrical outlets. 12' x 12' storage. Two 10' x 12' entrances. Tack room. 36' x 48' second floor loft/party room. 1,000 gallon underground propane and 500 gallon propane tanks included. Buyer to verify all information"
"VIEWS, VIEWS, VIEWS! This fully custom, Parade of Homes winner has all the upgrades. 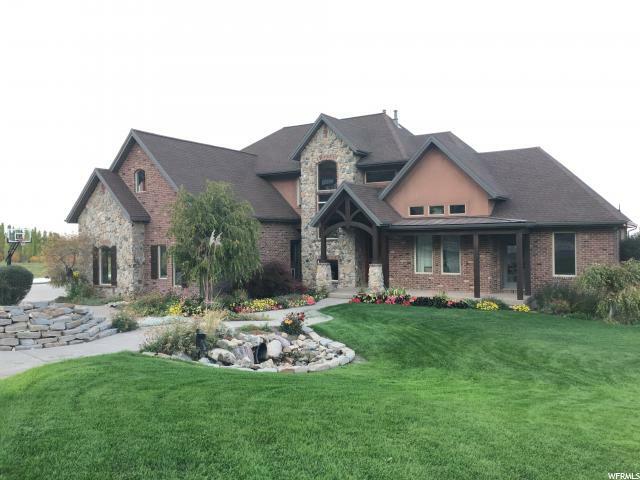 Over 6600 sq ft on 10 acres with 360 views of gorgeous Wellsville mountains and Cache Valley. Enjoy the peace and quiet! Located near the top of the Maple Rise neighborhood. Just to name some of the extras: in floor radiant heat, theater room, walkout basement, 2 story family room, 3 propane tanks (1,000 gal each), water feature, large flat backyard, hot tub, covered deck, speakers throughout, double oven, basement kitchen, basketball hoop, and new paint. Come take a look!" "THIS IS THE ONE! Beautiful luxury home at the top of a cul-de-sac nestled against the Wellsville National Forest. INCREDIBLE VIEWS. Step inside a beautiful, expansive entryway with custom metal door. Perfect office or sitting room, as well as a formal dining area. Gorgeous marble and hardwood flooring throughout, including newer, fully waterproof carpet! Impressive remodeled, custom kitchen with high-end appliances. Unique LED lighting system under cabinets in kitchen and in the master shower, controlled via remote. The master bathroom is very spacious, featuring a huge walk-in closet, double vanity, and a luxury shower system with multiple shower heads. Large game room on the main level. Upstairs bedrooms have walk-in closets, and the bonus room is great for storage or for a future 4th bedroom. The basement has plenty of space to grow and is well on it's way to being finished. The framing, electrical, and HVAC is all completed! The home is also set up to have a dumb waiter/elevator (see framed space inside the garage). You cannot beat this location, and you will gush over the quality features this home has to offer. Come see for yourself today!" 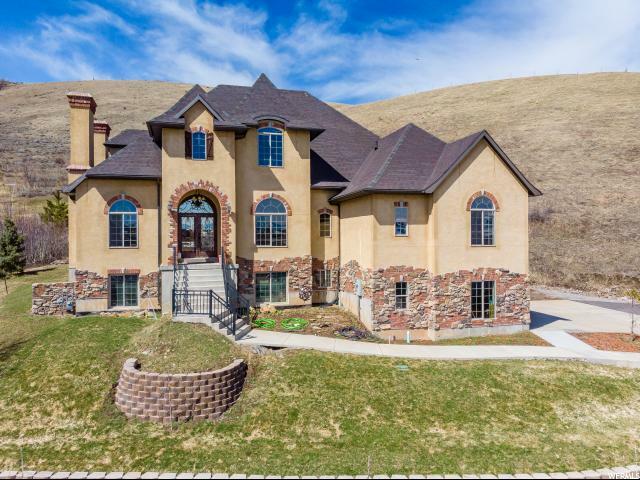 "Maple Rise 2 story with wonderful views of the Mountain & Valley, This 6 bedroom 3 bath home sits on 1.66 acres of horse property. Home features a huge master bedroom suite, New Kitchen w/island, Quartz counter tops and hardwood floors. 2 fireplaces, outbuilding with shop space, Home has a basement apartment which has been rented out in the past for $700-$800 per month. 3 car garage w/room enough to park 4 cars." "Executive Style Home with 10' entry ceiling, and tray ceiling in master and office/3rd bedroom. Beautiful granite and hardwood, Jacuzzi tub in master. 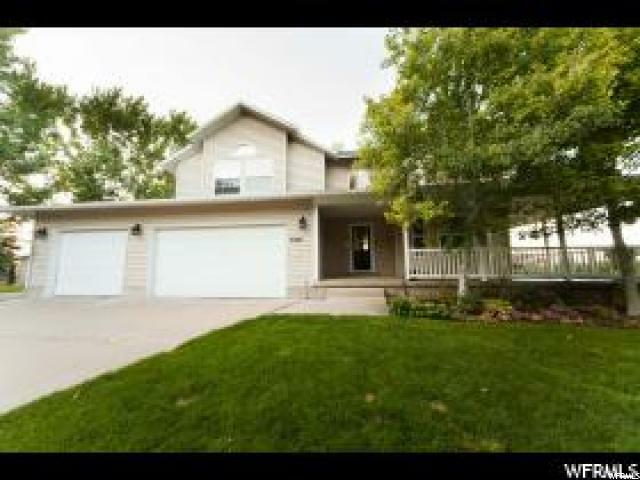 Attached 4 car garage with amazing views of the Wellsville's. Buyer to verify all. Estimated finish time is end of April 2019. Pictures are for information only. Pricing based on base home features. Not all features in pictures are included in this price." "Back On the Market! 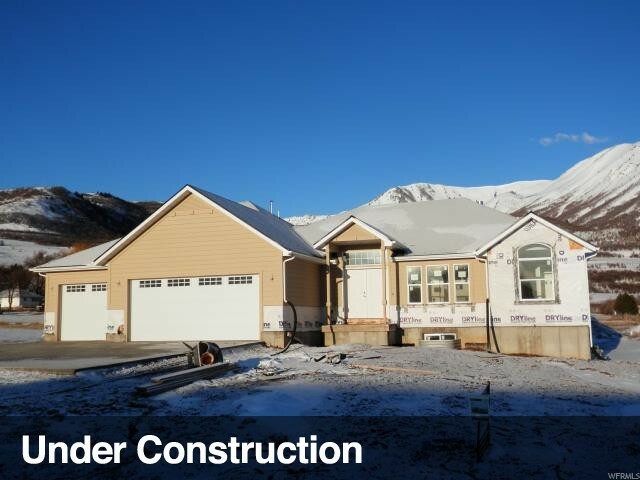 DON'T MISS OUT ON THIS PRICED TO SELL HOME in the beautiful Wellsville area, conveniently located by Sardine Canyon for quick access to SLC, gas stations and fast food! 6 bedrooms, 3 baths, recirculating hot water pump for quick hot water, Hunter Douglas blinds, tinted windows, basement kitchenette, oven stubbed electric and gas, jetted tub in the master, and storage galore! Heated third car garage with 220, and a 12x16 shed with second story storage and 12x16 carport for your toys. Large driveway with cement pad down the side and back for extra parking and/or RV space. Beautiful View of the Wellsville Mountains! Easy access to 89 and Sardine Canyon. You will love the rural feel in this smaller subdivision. COME SEE TODAY. Buyer is advised to obtain an independent measurement for sq. footage and lot size. Contact Jon or Barry to show your clients. " "Just what you have been looking for instead of paying rent! One bedroom with the possibility of two and one bath home on .31 acre lot. It has been updated with plumbing and electrical wiring in 2004. New furnace and water heater. Quiet location and with in walking distance of town. " "located along Hwy 89 with easy access to Sardine Canyon and Logan's main street. Apartment with separate entrance located on 2nd floor. NEW 95% high efficiency furnace with a/c* NEW windows, NEW paint, NEW carpet, NEW water heater, new water filter system on the well. Priced to sell, well below comps, seller may be willing to make some minor repairs with the right offer. 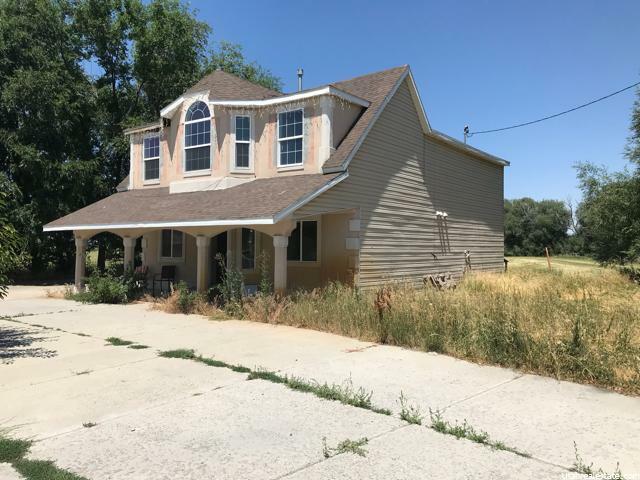 Price temporarily reduced before we take the property off the market to remodel... Update, 4/5/19, must be cash or possible seller finance with $25k Minimum down at higher interest (negotiable) property flooded during the winter due to frozen pipes, flooring has been removed and moisture remediated, possible foundation issues..."